The flavours are as powerful as the muscles it gives you! Breakfast, lunch or dinner this burrito ticks the boxes for all occasions. This dish was a joint creation between Dane and I when basically we couldn’t decide whether to make beef tacos for dinner or have an egg scramble. 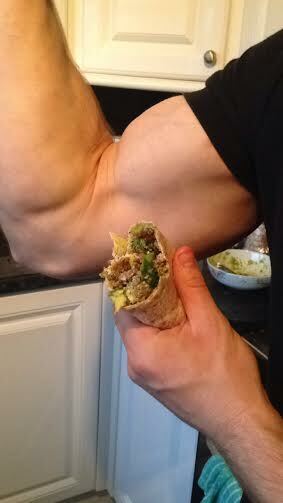 We decided to combine the two and this muscly and delightfully messy burrito was the outcome. This is a meal nutritionists would have on their plan and a meal athletes would devour for breakfast. 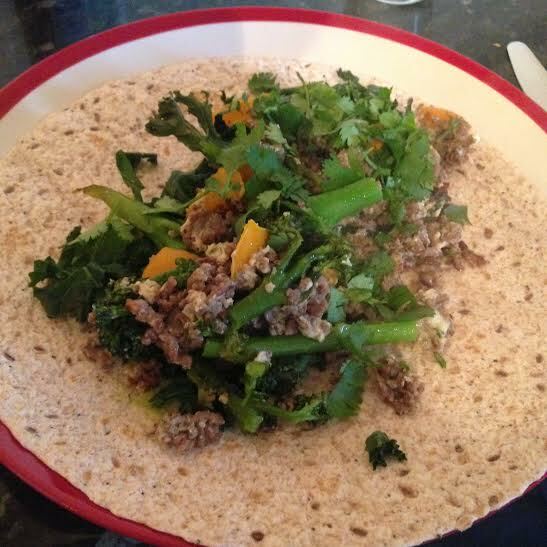 The lean minced beef provides plenty of protein for muscle growth and repair whilst the kale and broccoli means you’re getting fibre and plenty of vitamins from the dark greens. Dark greens are particularly good for heart health and some research even suggests they’re beneficial for fighting some cancers. Meanwhile the wholemeal wrap is a good source of low GI carbs while the avocado is full of good, healthy fats. Overall it’s got the makings of an insanely delicious meal packed full of good stuff that’s going to keep you full until lunch time if you have it for breakfast. It’s also a really great post-training dinner, ticking all the boxes for what your body needs after a tough session. It’s even good if you’re having friends over because burritos are fun to eat and you won’t have to make a lot because guaranteed no one will be able to comfortably eat more than two in one sitting without entering a Man V Food style eat-off! – Start by preheating the oven to about 180 degrees. 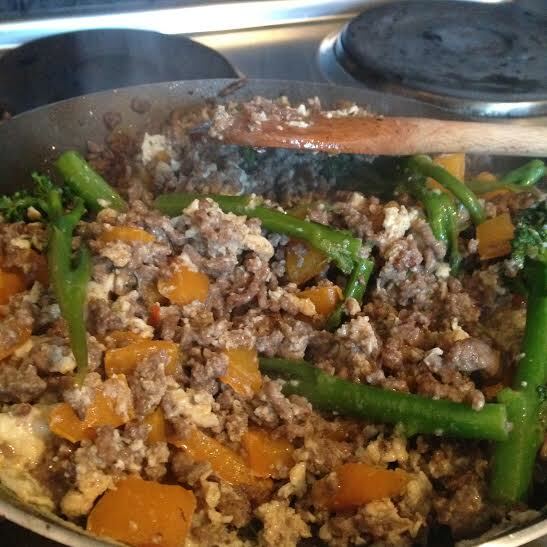 – Next put a tsp of coconut oil into a frying pan and brown the mince. Add the chopped pepper, chilli and spices to the pan. Fry until thoroughly cooked. – While the mince is cooking put the kale on a baking tray and drizzle with a little oil before putting in the preheated oven to crisp up. This usually takes about 10-12 minutes – note, kale goes from crisp to burnt incredibly quickly so make sure you keep an eye on it! – In a bowl mash the avocado up and spread on to the wraps. – In a separate bowl beat the eggs as if you are going to scramble them and then add them to the main mince mixture, stirring all the time until everything is well mixed in. 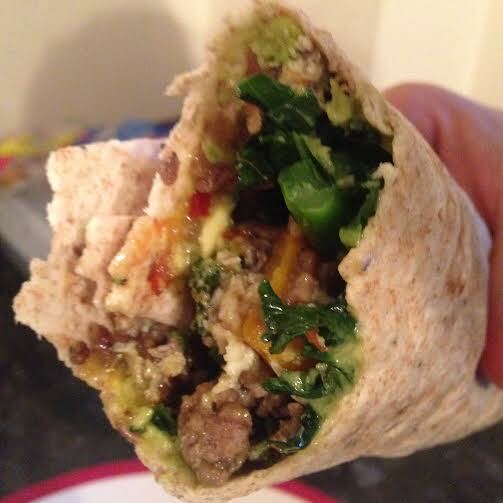 – Put a handful of kale on top of the avocado before spooning the beef mixture on to the wrap. To check out how to fold them up burrito style watch this little video below.